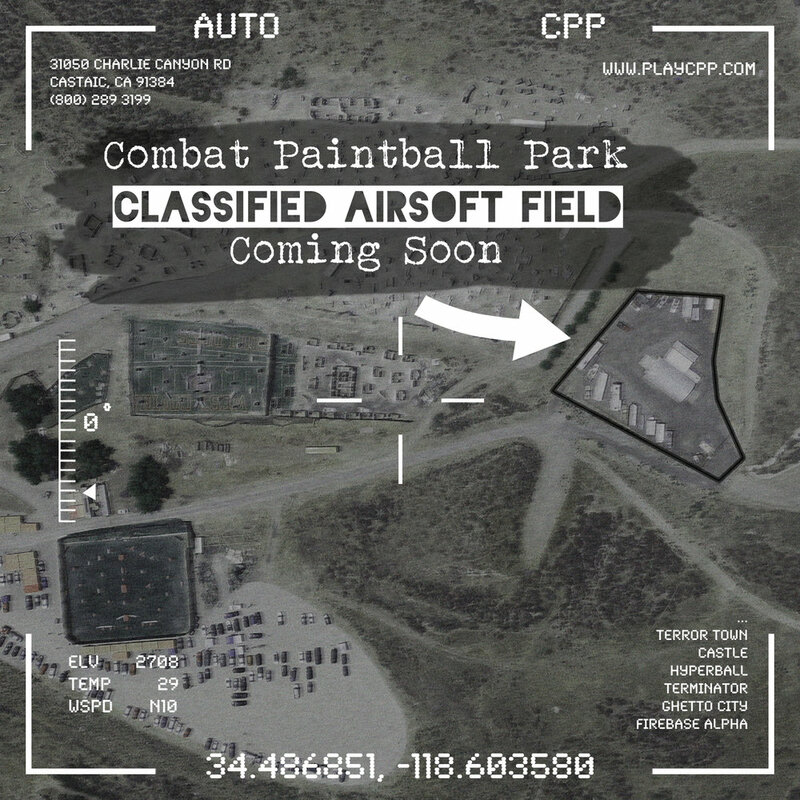 Combat Paintball Park offers a wide variety of unique fields that guarantee each game played will be exciting and different. Alpha is a classic King of the Hill field. Test your skills either attacking or defending fire base Alpha. Work your way around the fox holes or the authentic Willys Jeep during your quest to become victorious and the "King of the Hill"! Apocalypse is our take on a post apocalyptic world. Semi truck trailers, burned out cars, work trucks and cargo containers set the stage for the epic battles that await you on this field. Castle transports you back to the middle ages. Work your way into the castle to get up close and personal or stay on the outskirts of the castle eliminating everyone that stands in your way. The Castle Field works well for attack and defend scenarios as well as all out eliminations. Wall City is a very challenging and fun field to play. The field is large and football shaped. 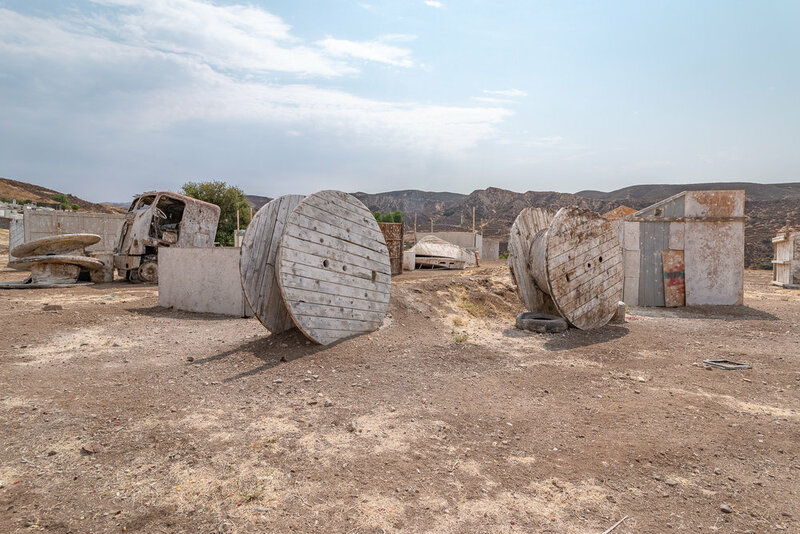 This adds many exciting elements, as you can play up the middle in and around a semi truck, boats and structures or try and work your way around the perimeter which is composed of a series of large walls. These walls have angles on each other as well as angles on the center of the field, but stay alert as the center of the field has angles on the walls as well. Go left, go right, go straight up the middle, a different experience awaits you every time. Hyperball is constructed of large diameter irrigation tubing. This was the industry standard for tournament paintball fields since the 90's. Our Hyperball field is nearly symmetrical and is built on an Astroturf playing surface making it easy to slide and dive. Come hone and then test your skills on the CPP Hyperball field. Terminator is loaded with a variety of props including RV's, cars, trucks, boats, trailer homes and more. 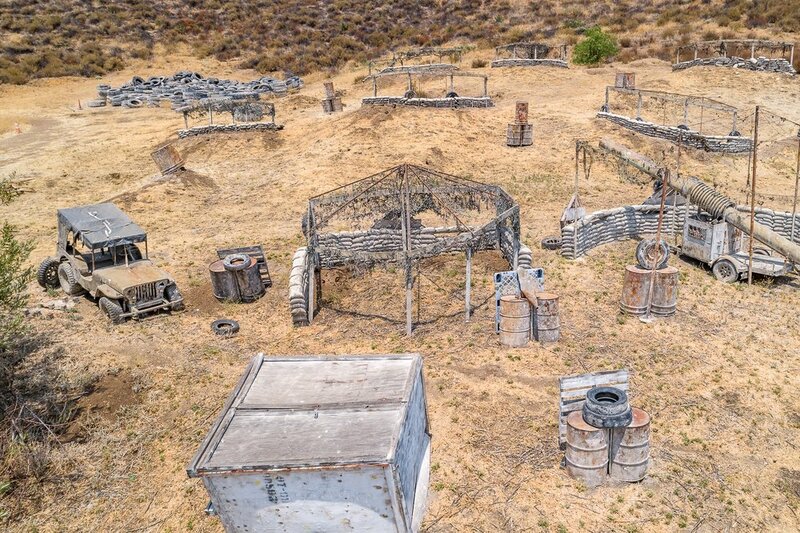 Work your way around all of these props as you try to eliminate your opponents, but stay alert because there are a lot of places for them to hide on this field. Terror Town is an up close "in your face" field that requires you to be on top of your game. Work your way up the field and into the close quarters "kill house" work the angles and work with your team to eliminate the members of the opposing team. Ghetto City is a series of buildings and abandoned cars that you and your team can work your way in and out of during your hunt for success. Our airball field is an AstroTurfed regulation size NXL (National X-Ball League) tournament field comprised of inflatable bunkers that can be setup to match whatever event is approaching. This allows teams to practice the layout in an environment that will be very similar to the upcoming event giving these teams an advantage over their less prepared opponents. Our Airball arena has played host to the UPL, PBSL, NXL ref certification clinics, archery tag, Nerf and more. We are working on bringing you a new airsoft field. We’ll keep you updated!